Getfeedback recommends the Schroder model of High Performance Management when assessing and developing individuals. This highly robust and recognised behavioural framework has been researched and developed for over 20 years making it one of the most validated frameworks available. 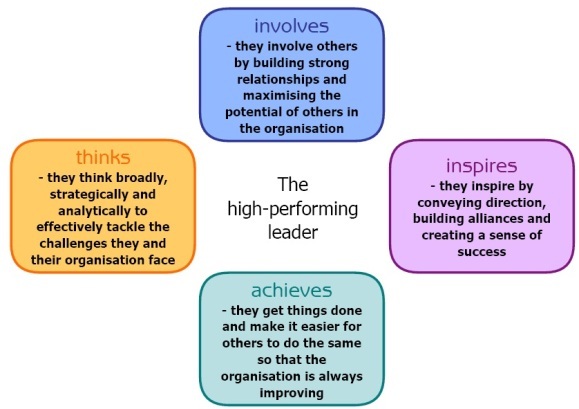 The framework consists of 11 behaviours which have been linked with high performance in leaders and managers at all levels and in many different industry sectors. The 11 behaviours span cognitive, interpersonal, directional and achieving dimensions and each behaviour is further defined by five levels. These range from negative use of the behaviour at level one, to an inspirational use of the behaviour at level five at which an individual is embedding a culture which supports and encourages others to use this behaviour within the organisation.